Looking to purchase a relatively last minute festive gift for yourself or for a loved one? Possibly one of the best set-top boxes of 2015, the Nvidia Shield + voice Remote can now be picked up for a very agreeable $179.99 down from original price of $250 for very limited time only. For those that may not know, the Nvidia Shield is one of those products that simply hasn’t garnered the attention and praise that it probably deserves. The product was initially introduced by Nvidia back in March of this year, but has thus not able to gather the momentum and pace that many predicated it would, based on the extensive functionality and features that it offers. In a nutshell, it’s a gaming console and it’s also a 4K Android TV powered set-top box that can seamlessly interact with Kodi, Netflix, and HBO amongst others and stream content in 4K UHD quality. It is arguably more powerful than all the set-top boxes released this year, including the new 4th-gen Apple TV, Amazon Fire TV 4K and even Roku 4. The 16GB Shield console/set-top box plus game controller has been retailing for $199.99 for some time now. But that only includes the set-top box itself and the gaming controller. The wireless voice-enabled Shield Remote needs to be bought separately for $49, bringing the total outlay around the $250 mark. All that now stands changed with this latest seasonal offering. Not only has $20 been knocked off of the original price of the Shield set-top box plus the game controller, bringing it down to $179.99 instead of $199, but it now also includes the voice remote, meaning you can now get the Nvidia Shield with the gaming controller and the voice-enabled Shield Remote for the same $179.99 instead of $250. That’s a combined saving of approximately $70. 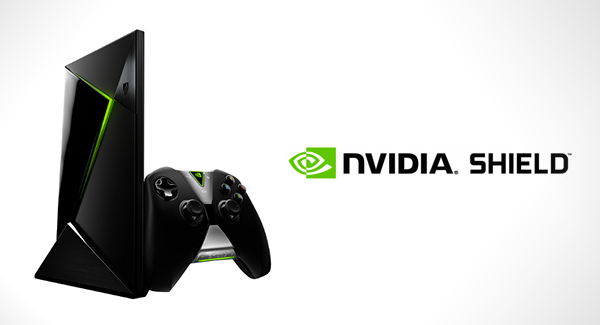 Considering the fact that the new Apple TV costs $150 sans the Nimbus gaming controller, at $179.99, Nvidia Shield + gaming controller + voice Remote is a steal because not only does it offer 4K video support, it also supports PC and console-quality gaming using Nvidia’s GeForce NOW service. Set-top boxes like the Apple TV 4 and Roku 4 may pull in most of the attention in the streaming world, but the Nvidia Shield is definitely worth a look considering the current price and features it offers. Picked this up Black Friday with remote at Gamestop $149 – In fact, it was $149 at most places with remote on BF. Helped that I had a 20 dollar coupon they honored, so now I’m sitting on 3 shields (1 500 GB and 2 16GB) and I love them. Great devices, no Vudu yet but coming soon (they do have cinema now) , Kodi runs awesome and HBO now is great. I would pick this up – great 4k device. But at $179, this is the best deal right now. In fact i’ll call it a steal at that price!